The 2018 World Series of Poker Main Event has been whittled down to the final nine, and there's one very familiar face among that number. Joe Cada already has a banner hanging in the Amazon Room at the Rio All-Suite Hotel & Casino, one in which his arms comfortably rest atop brick upon brick of cash — $8,546,435 to be exact. That's how much Cada won back in 2009, when, as a green 21-year-old, he came out of nowhere to win poker's most prestigious prize. Cada: "It feels unreal. What other feelings are there?" Cada has since proven that win was no fluke with two more bracelet wins and two other six-figure prizes at the WSOP. One of those bracelets came just a month ago when he took down Event #3: $3,000 No-Limit Hold'em Shootout. The other came back in 2014 in traditionally one of the toughest events of the summer, as he shipped the $10,000 Six-Max for $670,041. Now he's got a chance to pull off one of the greatest feats in poker history. The last repeat winner was Stu Ungar in 1997 when he took down the third of his three titles. Johnny Chan, Doyle Brunson and Johnny Moss also pulled off the feat. "It feels unreal," Cada said. "What other feelings are there?" There is 1:23:57 remaining in Level 36 (300,000/600,000, with a 100,000-ante). Naturally, many will immediately compare Cada's final table to 2009 and find it wanting. That table featured a legendary appearance by perhaps poker's biggest star in Phil Ivey, who finished seventh. Several others have gone on to big accomplishments as well. Antoine Saout has become a very successful traveling pro present at all of the world's big events. Eric Buchman went on to win two bracelets. 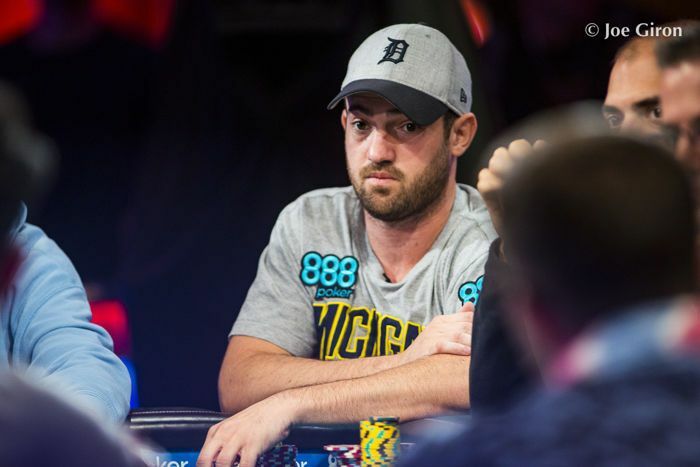 Jeff Shulman and James Akenhead have seven figures in cashes outside of that final table. Cada: "It was a lot more of a grind this time. I respected the tournament more." But, 2009 might as well be ancient history as far as poker strategy goes. That's why, despite a final table that lacks names the average poker fan will recognize, Cada knows he has a long and difficult task ahead. "It's poker nine years later," he said when asked to compare the two. "That's enough said there. Everyone here's really good. Everyone was really good [in 2009] too. Everyone deserved to be there but everyone's advancing in the game." "It was a lot more of a grind this time. I respected the tournament more. I had 9K at one point in this tournament and I just grinded a short stack. I was like maybe one-fifth of average almost the entire tournament." Cada seeks a second Main Event title, unprecedented in the modern era. Indeed, the nearly forty big blinds Cada totes into the final table represent one of the higher points of his journey. He had to earn them as well, showing off his mettle with a steely all-in bluff against Alex Lynskey when 12 players remained. Cada three-barreled a king-high board with an unpaired ace-six and got Lynskey to let go of king-nine. He also four-bet jammed pocket fives for almost 50 big blinds against Antoine Labat with ten players left. "I think it was just situations," Cada said. "I found myself in good semi-bluff or bluff situations where I felt like I needed to pull the trigger. I always try to ignore the money side of it. If I think the play is right, I'll go with my gut." Manion: "They had set up pocket kings and my aces. And, somehow, this is real life." One player who didn't have to go with his gut in the key hand was Nicolas Manion, who goes into the final table as chip leader after a truly epic hand to end the night. From under the gun, Manion opened for 1.5 million at 300,000/600,000/100,000 and got called by Labat. Yueqi Zhu then shoved from the hijack for 24.7 million and Manion moved in himself for 43.1 million since he held aces. Labat, who covered Manion, tanked for a bit and then called. Manion found himself in the best scenario possible when both opponents held pocket kings. "When I got both calls I didn’t even… I flipped over my hand and I didn’t even stay to see what they had," he said. "I went straight to my rail and looked up at the TV and they had set up pocket kings and my aces. And, somehow, this is real life." Zhu was dead on the flop and it was all over by the turn, so Manion didn't even have to sweat the final card as he rocketed to 112,775,000, just surpassing the 109,175,000 of longtime leader Michael Dyer. Something of a Cinderella story, Manion barely has a recorded tournament history with just a few small cashes and said he normally grinds $1/$2 back home in Michigan. A friend put him into a couple of $2,175 mega satellites and he won both so they agreed he'd take a shot. Manion waiting for what turned out to be an easy sweat. Now, he's chip leader of the Main Event with nine players left, but to hear him tell it, he doesn't care much. He's planning for more of the same both in this tournament and in life in general, no matter the result. "That will not affect my play at all," he said. "I’m still gonna stick to my game plan of playing the hands that I’m dealt and trying to just chip up and win the pots that I’m entering in. "I will not change what I’m doing. I’m not gonna go play big tournaments and blow my bankroll. I’m gonna play with all my friends just like before and enjoy life now." Manion: "I’m not gonna go play big tournaments and blow my bankroll. I’m gonna play with all my friends just like before and enjoy life now." Cada, playing the tournament as he so often does with Michigan Wolverines gear adorning his body and head, said he and Manion bonded a bit over their shared home state. "He seems like a really nice guy and he's been playing awesome," Cada said. "It was cool to see what happened to him. I'm sure he's loving life right now and that's cool to see." While they'd surely be thrilled to make it an all-Wolverine affair for the $8.8 million top prize, plenty of stiff competition remains, as Cada alluded to in comparing his two Main Event runs. Notable pros Alex Lynskey and Artem Metalidi remain. 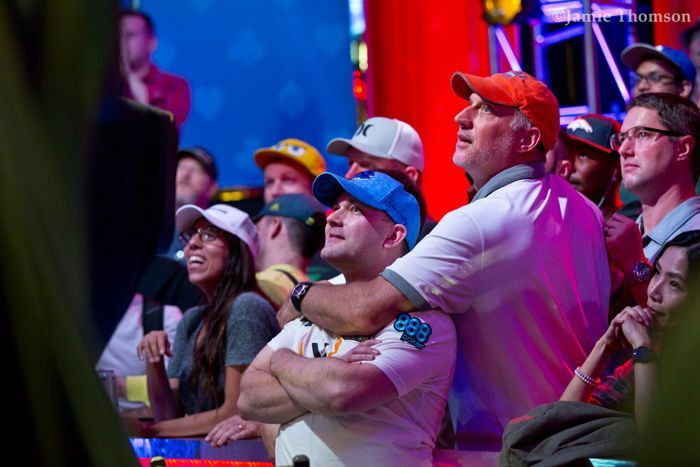 Poker fans tuning in to the cards-up feeds on PokerGO and ESPN have also seen less well-known names Tony Miles, John Cynn, Aram Zobian, Michael Dyer, and Antoine Labat earn their way to the final nine with skillful play in their own rights. 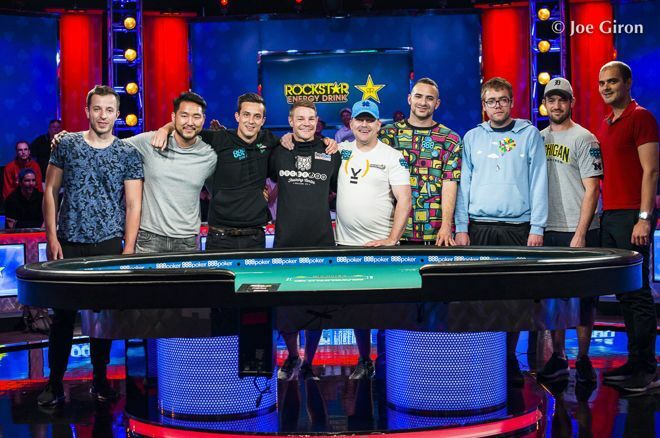 Each player has his own story worth telling, documented here on PokerNews in the final table profiles to come. Each player's journey to this point can also be seen in this chart. While each player merits his own time in the spotlight, the eyes of the poker world will be fixed squarely on Joe Cada come Thursday evening. 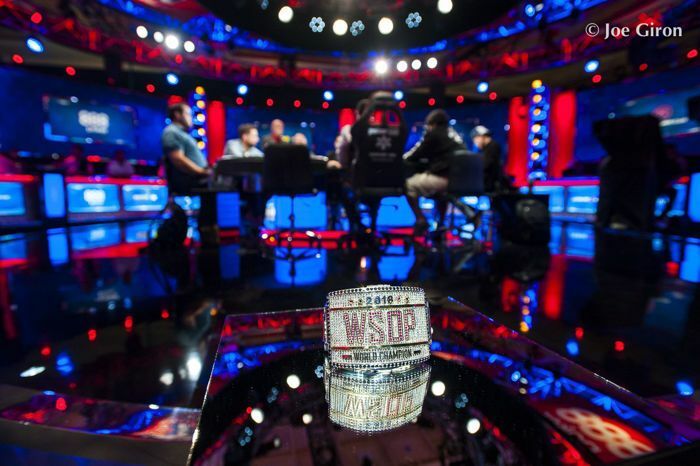 For everyone else, there's $8.8 million and a place in poker history at stake. For Cada, there's all that and the chance to pull off something that's never been done in the modern era, to etch his name in poker lore forever. While Cada had to wait several long months back in 2009, the format change back to a Main Event that finishes in the summer, means success or failure will come much sooner this time. He said he welcomes the shift. "I'd rather just get this thing over with and see where it lies," he said. "The three months... you toss and turn a lot thinking about where it's going to end." Cada: "We'll see how it turns out." With a final table that starts at 5:30 pm local time on Thursday, July 12, there's a bit of time for Cada to prepare. He could schedule a session with a revered poker coach. He could make sure his body and mind are ready with exercise or meditation. Whether it's the experience of having been here before, the financial security of having already won millions in poker, or just his natural way of going about things, Cada seems anything but hyped. He spoke calmly in the aftermath of the final elimination, casually outlining his simple plan. "My girlfriend's coming in this morning so I'll probably just get some sleep and go pick her up and hang out with her," he said. "We'll see how it turns out."